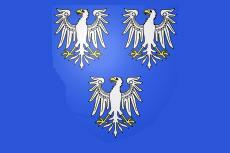 of Regensburg) Principality of Frankfurt (Fürstentum Frankfurt). 19 Oct 1813 Occupied by Prussia. des Grossherzogthums Frankfurt und des Fürstenthums Isenburg). 14 Dec 1813 Free City of Frankfurt. 18 Jul 1866 Administered by Prussia. 8 Oct 1866 Annexation by Prussia. Note: Before 1806 the highest authorities were (1) the Stadtschultheiss (a fossil of the royal supervision of the city), senior member of the Rat (Council); (2) the senior mayor (Älterer Bürgermeister), elected annually, who presides in the Rat. The mayor's term begins on a date between Easter and Pentecost, and varies from year to year. 724 Benedictine Abbey of Freising (Stift Freising). 1220 Bishops also become Princes of the Empire. [Burggrafschaft Friedberg in der Wetterau]). (Reichsstadt Friedberg in der Wetterau) a separate entity. 1 May 1287 Burggraf granted imperial justice. 2 Nov 1347 Pledged to Hohenlohe. 26 May 1349 Pledged to Schwarzburg. 1431 Castle listed in the Reichsmatrikel (imperial properties) list. (Stadt und Burg Friedberg in der Wetterau). 21 Sep 1802 Occupied by Hesse-Darmstadt. 12 Jul 1806 Mediatized to Hesse-Darmstadt. 19 Jun 1866 Annexed to Prussia. 1576 - 1506 Annexed to the Teutonic Order. 22 Oct 1802 Occupied by Prussia. 27 Oct 1806 Occupied by France. 28 Aug 1807 Part of Kingdom of Westphalia. Nov 1813 - 14 Apr 1816 Portion under Austrian administration. Jun 1815 - 5 Feb 1816 Portion under Prussian administration. 5 Feb 1816 Part of Hesse-Cassel. 14 Apr 1816 Portion is incorporated into Bavaria. 1 Oct 1867 Hesse part annexed to Prussia. 1250 County of Fürstenberg (Grafschaft Fürstenberg). 1284 Divided between itself and the County of Dillingen. 2 Dec 1716 Principality of Fürstenberg (Fürstentum Fürstenberg). 19 Nov 1805 Annexed to Baden (confirmed 12 Jul 1806). 856 Benedictine Abbey of Gandersheim (Stift Gandersheim). 1417 Abbesses made Princess of the Empire. 1542 - 1547 Protestant rule. Stiftes zu Gandersheim), Imperial Royal Free Worldly Chapter. 23 Sep 1802 Secularized and annexed to Brunswick. 2 Nov 1806 French occupation. 28 Aug 1807 Annexed to Kingdom of Westphalia. 1813 - 6 Nov 1813 Allied administration. 6 Nov 1813 Re-incorporated to Brunswick. three "succession lines" can be distinguished. 9 Sep 1802 Annexed to Württemburg. 1417/37 Abbesses made Princesses of the Empire. 27 Apr 1803 Secularized given to the Count of Törring. "Stadt Hamburg an der Elbe"
848 - 1072 In personal union with Bishopric of Bremen. 1356 - 1669 Member of the Hanseatic League. at any time; four "succession lines" can be distinguished. 19 Nov 1806 Occupied by France. 18 Mar 1813 Free Hanseatic City of Hamburg (restored). 29 May 1813 - 31 May 1814 Incorporated into France. 31 May 1814 Free Hanseatic City of Hamburg (restored). 1168 Lordship of Hanau (Herrschaft Hanau). 1429 County of Hanau (Grafschaft Hanau). 21 Jan 1642 Hanau-Münzenberg passes to Hanau-Lichtenberg. 28 Mar 1736 Hanau-Lichtenberg inherited by Hesse-Darmstadt. 31 Oct 1785 - 4 Nov 1806 Under administration by Hesse-Kassel. 4 Nov 1806 - 16 May 1810 French administration. 16 May 1810 Part of Frankfurt. 2 Dec 1813 Incorporated into Hesse-Kassel. 1 Oct 1867 Annexed to Prussia. 1286 Fürstentum Göttingen detached from Brunswick. of Bavaria (Bayern) and the Palatinate (Pfalz). 1 Aug 1714 - 20 Jun 1837 Personal union with Great Britain. 26 Jul 1757 - Nov 1757 Occupied by France. 4 Jun 1803 - 26 Oct 1805 Occupied by France. 26 Oct 1805 - 14 Dec 1805 Occupied by Prussia. 14 Dec 1805 - 7 Feb 1806 Occupied by Britain. 7 Feb 1806 - 1 Apr 1806 Occupied by Prussia. 1 Apr 1806 Annexed to Prussia. 1 Mar 1810 - 29 Oct 1813 Incorporated into Kingdom of Westphalia. 29 Oct 1813 - 6 Nov 1813 Allied administration. 6 Nov 1813 Electorate restored. 12 Oct 1814 Kingdom of Hanover (Königreich Hannover). 20 Sep 1866 Annexation by Prussia. 1218 - 1718 Valley a dependency of Zell am Harmersbach free imperial city. 1718 Imperial Valley of Harmersbach (Reichstal Harmersbach). 27 Apr 1803 Annexed to Baden. 1429 Abbesses made Princesses of Empire. 12 Jul 1806 Annexed to Württemberg. 1322 Free Imperial City, from 1552 three "succession lines"
1647 - 1648 French occupation. 16 Sep 1802 Occupied by Württemberg. 27 Apr 1803 Annexed by Württemberg. (Johanniterorden) in the Holy Roman Empire. 1428 Priors made Princes of the Empire (reichsunmittelbar). 25 Jul 1806 Annexed to Baden. 832 Benedictine Abbey of Herford (Stift Herford). 839 Becomes an Imperial Abbey (Reichsabtei Herford). 1523 Abbesses also the Princesses of the Empire. 1631 - 1652 Herford city a Free Imperial City (Reichstadt). 27 Apr 1803 Annexed by Prussia. 28 Aug 1807 - 1813 Part of the Kingdom of Westphalia. 1265 Landgraviate of Hesse (Landgrafschaft Hessen) founded. 1547 - 1552 Imperial administration. 7 Jul 1816 Ruler styled Grossherzog von Hessen und bei Rhein. 3 Sep 1866 Cedes Mainz, Worms, and Hesse-Homburg to Prussia. 2 Mar 1919 People's State of Hesse (from 1918 see German states since 1918). 1671 - 1680 Hesse-Homburg forfeited to Hesse-Darmstadt. 12 Jul 1806 Hesse-Homburg under suzerainty of Hesse-Darmstadt. 1815 Sovereign Landgraviate of Hesse (Souveräne Landgrafen zu Hessen). 24 Mar 1866 Incorporation into Hesse(-Darmstadt). 4 Aug 1866 Occupied by Prussia. 3 Sep 1866 Ceded to Prussia. 1 Oct 1867 Incorporated into Prussia. 31 Mar 1567 Landgraviate of Hesse (informally Hesse-Kassel) separated. 23 Mar 1730 - 5 Apr 1751 Personal union with Sweden. Electorate of Hesse (Kurfürstentum Hessen). continues to be styled Kurfürstentum Hessen. 31 Oct 1806 - 28 Aug 1807 French occupation, Hesse-Kassel abolished on 4 Nov 1806. Napoléon I for his brother Jérôme. 30 Sep 1813 - 6 Oct 1813 Allied (Russian) occupation of Kassel. 29/30 Oct 1813 Kingdom of Westphalia dissolved, Electorate of Hesse restored. 19 Jun 1866 Occupied by Prussia. 20 Sep 1866 Incorporated into Prussia. c.1221 Bishops also Princes of the Empire. 30 Jul 1802 Annexed to Prussia. 29 Oct 1813 Allied administration. 2 Nov 1813 Administered by Hanover. 30 Dec 1813 Annexed to Hanover. c.1252 Lordship of Geroldseck (Herrschaft Geroldseck). c.1252 - 1634 Under Geroldseck dynasty. 1277 Lordship of Hohen-geroldseck (Herrschaft Hohen-geroldseck). 1635 - 1704 Under Kronberg dynasty. 1692 - 1705 Imperial administration. 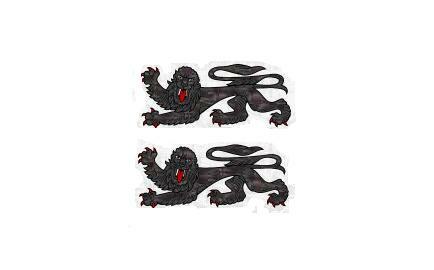 under Leyen dynasty (since 1704). 12 Jul 1806 Principality of Leyen (Fürstentum von der Leyen). 13 Dec 1813 - 1815 Allied (Austrian) administration. 9 Jun 1815 Under Austrian sovereignty. 10 Jul 1819 Ceded by Austria to Baden. Hohenlohe-Brauneck (which in 1390 passes to Brandenburg). (which in 1381 part of Hohenlohe-Weikersheim). Hohenlohe-Weikersheim (1698 annexed to Hohenlohe-Öhringen). 1798 Hohenlohe-Jagstberg split from Hohenlohe-Bartenstein. 27 Jul 1805 Senior line of Hohenlohe-Neuenstein extinct. 12 Jul 1806 Hohenlohe possessions divided between Bavaria and Württemberg. 7 Jan 1764 Principality of Hohenlohe-Ingelfingen. 12 Jul 1806 Annexed by Bavaria. 12 Jul 1806 Annexed by Württemberg. 28 Feb 1810 Transferred to Württemberg. 1590 - 1610 Part of Hohenlohe-Neuenstein. 27 Jul 1805 Passed to Hohenlohe-Ingelfingen. 1545 - 1568 Part of Hohenlohe-Neuenstein. 1684 - 17 Oct 1702 Part of Hohenlohe-Öhringen. 5 May 1756 Part of Hohenlohe-Öhringen. style of Graf von Hohenzollern. 7 Mar 1634 Hohenzollern-Haigerloch ceded to Hohenzollern-Sigmaringen. 12 Mar 1850 Principalities incorporated into Prussia. 1142 Division into Isenburg-Isenburg and Isenburg-Kempenich. (superseded by Weid in 1462) and Nieder-Isenburg. 1341 Isenburg-Büdingen created from Isenburg-Cleberg. 1664 Isenburg-Birstein absorbed into Isenburg-Offenbach. 23 May 1744 Isenburg-Birstein a Principality (Fürstentum Isenburg-Birstein). mediatized domains of all other branches. 1810 - Oct 1813 Occupied by France. Oct 1813 - 15 Feb 1815 Allied occupation (administered from Frankfurt). 15 Feb 1815 - 30 Jun 1816 Austrian administration. 3 Jul 1815 Ceded to Austria by Congress of Vienna. 30 Jun 1816 Annexed by Hesse-Darmstadt. 12 Jul 1806 Incorporated into Isenburg-Birsetin. 16 Mar 1725 Incorporated into Isenburg-Meerholz. 1711 County of Isenburg-Birstein (restored). 30 Jun 1816 Incorporated into Hesse-Darmstadt. 1635 - 1643 Occupied by Hesse-Darmstadt. 12 Jul 1806 Incorporated into Isenburg-Birstein. 1330 Chiefdom of Jever (Häuptlingschaft Jever). .... Lordship of Jever (Herrlichkeit Jever). 20 Feb 1575 - 29 Jun 1667 Personal union with Oldenburg. 29 Jun 1667 - 3 Mar 1793 Personal union with Anhalt-Zerbst. 1675 - 1677 Occupied by Denmark. 1678 - 1679 Occupied by Münster. 1679 - 1679 Occupied by France. 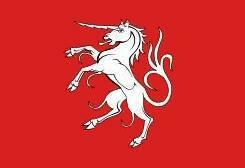 1683 - 1689 Occupied by Denmark. 3 Mar 1793 Possession of the Russia. Oct 1806 Occupied by the Dutch (see East Frisia). 1807 Ceded by Russia to Duchy of Holstein (not effected). 7 Jul 1807 Ceded to France by Russia. part of the département Oost-Friesland. 8 Nov 1813 Restored to Russia (from 28 Dec 1813, administered by Oldenburg). 18 Apr 1818 Incorporated into Oldenburg. (for the future port of Wilhelmshaven). 21 Sep 1135 Cistercian Abbey of Kaisersheim (Stift Kaisersheim). 1363 Abbots made princes of the Empire (Reichsstift Kaiserheim). 1656 Imperial immediacy recognized by Pfalz-Neuburg. 1572 - 1626 Protestant administration. 1588 Abbesses also Princess of the Empire. 12 Jul 1806 Secularized and annexed to Nassau. 20 Sep 1866 Part of Prussia. c.747 Benedictine Abbey of Kempten (Stift Kempten). to bear the title of Duke (Reichsfürststift Kempten). 1360 Abbots become Princes of the Empire. Sep 1802 Occupied by Bavaria. 1289 Kempten Free Imperial City (in Allgäu)(Reichsstadt Kempten). 1525 Last property rights of the abbots in the free city sold. 1527 City converts to Protestantism. (Herrlichkeit von In- und Kniphausen). 9 Jul 1667 Under Aldenburg (from 1733, Aldenburg-Bentinck) dynasty. 30 Jan 1808, part of the département Oost-Friesland). 8 Nov 1813 - 28 Dec 1813 Occupied by Russia (see Jever). 28 Dec 1813 – 31 Jul 1826 Administered by Oldenburg (annexation declared 13 Apr 1818). 1 Aug 1854 Ceded to Oldenburg (formally incorporated 29 May 1855). 1203 - 1227 Lauenburg under Danish rule. Herzogtum Sachsen-Lauenburg [Duchy of Saxe-Lauenburg]). 1359 - 1683 The city of Mölln is mortgaged to Lübeck. Hamburg and Lübeck, which erect a condominium in the area. Lauenburg became extinct in the male line. 1693 - 1705 Occupied by Brunswick-Lüneburg. 1701 Ratzeburg part of Mecklenburg-Strelitz. 28 Aug 1705 Possession of the elector of Hanover. 1803 - 1805 Occupied by France. 1805 - 1806 Occupied by British, Russian and Swedish forces. Dec 1805 Ceded to Prussia by France. 1806 - Nov 1806 Occupied by Prussia. Nov 1806 - 1810 Occupied by France. 9 Jun 1815 (one day) Incorporated into Prussia. 9 Jun 1815 Incorporated into Denmark. 16 Nov 1864 - 20 Aug 1865 Jointly administered by Austria and Prussia. 1681 - 1697 Occupied by France. 3 Jul 1779 Counts made princes of the Holy Roman Empire. 1793 Possessions on left bank of Rhine occupied by France. 1801 Neu-Leiningen possessions on left bank of Rhine annexed by France. 1801 - 1806 Occupied by France. the Neu-Leiningen line on former lands of Amorbach Abbey. 1813 - 1815 Allied Administration. 1815 Former Alt-Leiningen lands annexed the Nassau duchies. 1816 Former Neu-Leiningen lands annexed to Bavaria. 1043 Benedictine Abbey of Lindau am Bodensee (Damenstift Lindau). 1275 - 1802 Lindau city a Free Imperial City. 1466 Abbesses made Princesses of the Empire. 27 Apr 1803 Secularized as a county for the Count of Bretzenheim. 14 Mar 1804 Ceded to Austria. 29 Dec 1805 Annexed by Bavaria. 14 Mar 1806 Bavaria takes possession. [Lippe is the name of a river]. Style: Edler Herr zur Lippe. style: Graf und Edler Herr zur Lippe. 23 Sep 1620), Lippe-Alverdissen; plus two "non-sovereign"
remains Graf und Edler Herr zur Lippe. 21 Feb 1709 Lippe-Brake extinct, incorporated into Lippe-Detmold. (Fürstentum Lippe), but style in use only from 16 Dec 1789.
retained in informal use for the whole polity). 16 Dec 1789 Style Principality of Lippe (Fürstentum Lippe) in use. Nov 1918 Free State Lippe-Detmold (from 1918 see German states since 1918). Würzburg, Grand Duchy of Frankfurt, and Hesse-Darmstadt. among Baden, Bavaria, Hesse-Darmstadt and Württemberg. 1127 Burned to the ground. 1143 Lübeck re-founded at modern location. 1181 - 1189 Free Imperial City. 1189 Part of Duchy of Saxony. 1217 - 1226 Danish occupation. 1420 - 1 Jan 1868 Bergedorf annexed (ruled jointly with Hamburg to 1868). Bishopric of Lübeck (Hochstift Lübeck). 1180 Bishops also Princes of the Empire. 1350 Bishops residence transferred to Eutin. 1586 Dukes of Holstein-Gottorp also Bishops. are ceded to the Free City of Lübeck. 1 Dec 1813 Restored to Oldenburg. 11 Nov 1918 Becomes an excalve of Free State of Oldenburg. 1 Apr 1937 Incorporated into Prussian province of Schleswig-Holstein. 1269 Principality of Lüneburg (Fürstentum Lüneburg). 28 Aug 1705 Incorporated into Kurbraunschweig (Hanover). 10 Dec 1810 Annexed to Kingdom of Westphalia. 23 Apr 1813 Administered by Hanover. 20 Dec 1813 Reincorporated into Hanover. 80 Bishopric of Mayence (Stift Mainz) founded, according to legend. 1244 - 1462 Separate Free City of Mainz. 1257 Archbishop recognized continuously from this date as elector. 1796 City of Mainz re-occupied by France. 18 Oct 1797 Territories west of the Rhine, including Mainz, ceded to France. part of French département Mont-Tonnerre (see under Germany). of the electoral territories east of the Rhine. part of Government-General of Middle Rhine (see under Trier). 1 Jul 1816 Part of Hesse-Darmstadt. ¹Full title to 27 Apr 1803: Archbishop of Mayence and Archchancellor of the Holy Roman Empire for Germany and Prince-Elector (Erzbischof von Mainz und des Heiligen Römischen Reichs Erzkanzler für Germanien und Kurfürst); from 27 Apr 1803: Archchancellor and Prince-Elector of the Holy Roman Empire and Archbishop of Ratisbon (Erzkanzler und Kurfürst des Heiligen Römischen Reichs und Erzbischof von Regensburg). Fürst zu Wenden, Rostock und Stargard des Landes Herr. zu Schwerin, der Länder Rostock und Stargard, des Landes Herr. 28 Nov 1806 - 1 Dec 1807 Occupied by France. 4 May 1812 - 1812 Occupied by France. 14 Jun 1815 Duchy elevated to rank of grand duchy (Grossherzogtum). (see German states since 1918). 28 Jun 1815 Duchy elevated to rank of grand duchy (Grossherzogtum). the core of Orders the German lands in Franconia. 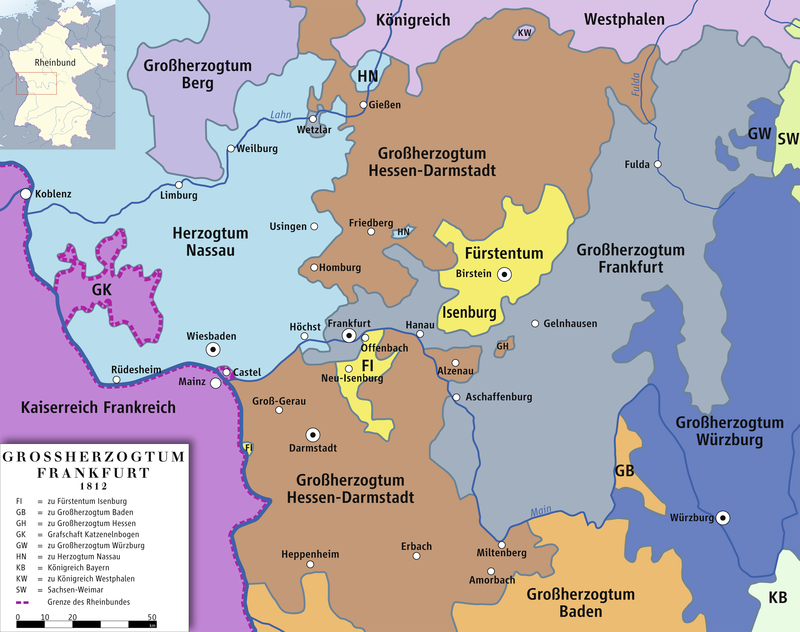 1230 Bailiwick of Mergentheim (Meistertum Mergentheim) established. was not made a principality and it remained a commandery). survives under the Deutschmeister Walter von Cronberg. (Hoch- und Deutschmeisterthum zu Mergentheim). Teutonic Order (instead of the seat for the Deutschmeister). and there were Roman Catholic, Lutheran, and Reformed bailiwicks. territory of Mergentheim is annexed to Frankfurt. 24 Apr 1810 Mergentheim annexed to Württemberg. 803 Bishopric of Minden (Hochstift Minden). 1554 - 1625 Under Protestant bishops. Apr 1636 - 15 Oct 1649 Occupied by Sweden. Apr 1759 - Aug 1759 Occupied by France. 28 Aug 1807 Part of the Kingdom of Westphalia. 1813 - 25 May 1815 Under Allied administration. 25 May 1815 Re-incorporated into Prussia. 791 Bishopric of Münster (Hochstift Münster). 1134 Bishops also Princes of the Empire. 1534 - 1535 Anabaptist (Protestant) government. 23 May 1802 Occupied by Prussia. 6 Sep 1809 Annexed to Berg and Cleves. 13 Dec 1810 Annexed to France; part of département Lippe. 18 Nov 1813 - 25 May 1815 Allied administration. 25 May 1815 Southern part to Prussia, northern part to Hanover.